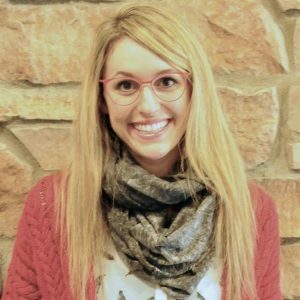 Alex Slaymaker is only 26, but she has already received a master’s degree (the Master of Sustainability Solutions at Arizona State University) and has worked in several sustainability fields in the U.S. and Europe, including zero waste, urban agriculture, climate adaptation planning, health, urban design and green building. "I first learned about the complex opportunities and challenges around smart cities in a class at the School of Sustainability, and now I’m on a talented team leading the world in smart city innovation," Slaymaker said. Currently, Slaymaker is working for Smart Columbus, a 50 million dollar initiative to reinvent transportation in Columbus, Ohio for a more sustainable future. 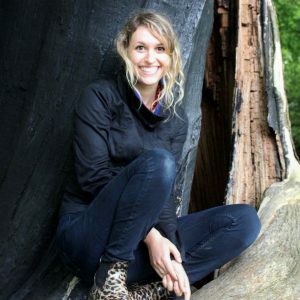 Read Slaymaker’s Q&A below for more about how she got inspired to work in urban sustainability and how the School of Sustainability prepared her to take on big challenges. Answer: My senior year of high school, I was assigned a policy paper and could pick any topic of focus. Since I’ve always been enchanted by the biodiversity of the Amazon Rainforest and I vaguely remembered seeing something about deforestation on TV, I decided to dive into this topic. This research shattered my naive construction of the world. I started to learn about slash-and-burn agriculture and the destruction of indigenous communities for uses including growing soybeans for cattle feed and creating cattle-grazing pastures. I went to a great high school, but they failed to educate us about the sustainability crises happening in every corner of our beautiful planet. Now, kids are learning about sustainability very early in life and this advancement is exciting because awareness is the first step towards action. I didn’t know how I was going to help the Amazon or any of the other problems in our world, but I knew I had to try. Although I started undergrad studying conservation biology, I realized my passion was for urban sustainability. I was fascinated by the scale of positive environmental and social change possible with dense urban systems. The idea of creating livable, healthy, safe, sustainable cities with a high quality of life for all people became my life’s calling. A: While I was still in undergrad I had the privilege of presenting my urban geography research at ASU and I was able to meet Dean Boone. This experience stuck with me because I was so impressed by faculty knowledge and the inspiring vision of ASU. During my graduate school research process it became very apparent ASU’s School of Sustainability is the best in the country. The ability to do an applied master’s was also very appealing to me since I had already done an honors thesis in undergrad and preferred highly applied work. Even though I was planning to return to Ohio after grad school, I knew it would be worth going to ASU since exposure to different cultures and environmental challenges like extreme heat would only make me a more valuable sustainability professional. It was a sound bet! Going to ASU’s School of Sustainability was the best choice I’ve made in my professional life. I grew so much as a person through conversations with insightful peers in my cohort, and was able to learn through hands-on experiences from world class professors like Scott Cloutier and Nalini Chhetri. Through projects and internships on and off campus I had the privilege of working closely with many talented leaders in the community including Braden Kay and John Trujillo. I truly don’t believe I would have had access to so many brilliant minds and empowering opportunities at any other university. Q: With so many aspects to sustainability, what inspired you to focus on smart cities and transportation? A: I want to spend my time in activities and roles that allow me to have maximum positive impact. Smart Columbus is one of the most exciting initiatives happening in the country because it leverages public-private partnerships to improve quality of life through advanced technology, while decarbonizing and electrifying our transportation systems. From a climate and urban sustainability perspective, this work is very impactful and desperately needed. From a cultural perspective, this work is very difficult. We are targeting a car-dominant culture in a region with streets designed for cars, not people. Our work is changing the trajectory of our region, ensuring we can add 1 million more residents by 2050 without turning our region into a giant parking lot. Something I think a lot about after following Jeff Speck’s work is how to create a lifelong community, where families with babies and folks in their 80s can both thrive. A fossil-fuel powered, car dominant community doesn’t accomplish this goal. I am on the small startup team within Smart Columbus dedicated to mobilizing the private sector to help transform our culture to drive less and drive electric. Specifically, I have the privilege of coaching large employers in Central Ohio on how to increase associate electric vehicle adoption by almost 500 percent and decrease single occupancy vehicle commutes by over 10 percent by 2020. It’s inspiring to be part of a bold initiative leveraging technology to solve community problems rooted in transportation. After my work with smart cities I plan to work in the broader urban sustainability space where I can truly integrate all my expertise and provide cutting-edge insight to cities, companies and people. A: Sustainability to me is about respecting ourselves, each other, and the planet we depend on. It’s about the interconnectivity of everything and everyone that has been or will be. It’s about building systems to have a regenerative impact with principles of biomimicry and balance. It’s a subjective mindset and a set of very tangible practices. While some struggle with the ambiguity of the term and try to find a standard definition or pick a “new word,” I find inspiration in the broad subjectivity. Sustainability relates to every area of work and every person — whether they realize it yet or not. It’s our job as professionals in the field to make sustainability relatable, positive and motivating.